Domino’s is an American pizza chain offering takeaway pizzas for collection and delivery in many countries around the world. 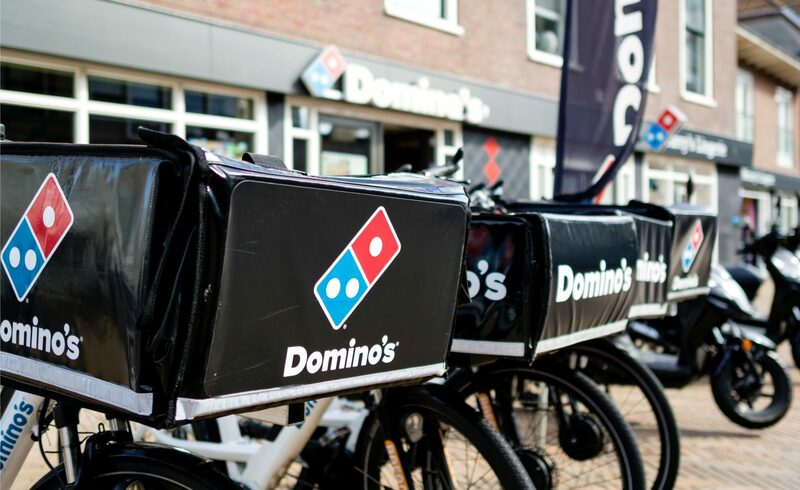 In the UK, delivery from a store Domino’s is free, but you must meet the minimum spending requirement to place an order. This amount varies from store to store but generally starts at £7.99. You can order for delivery by calling the store, placing the order and paying on the website, or using the Domino’s mobile app. Back in the 1970s, Domino’s had a delivery guarantee offering free orders if they took longer than 30 minutes to arrive. It is a common misconception that customers can invoke this 30-minute guarantee. It does exist in 5 out of 80+ countries which it operates in, but unfortunately, the UK is not one of them. Here is what you can do regarding Domino’s late delivery. Independent franchisees operate each Domino’s store. This means that the store will be individually responsible for supplying your order to you. If something goes wrong with your order, you need to contact them first. To do so, you should check your e-mail for your order confirmation. Check to make sure that you definitely ordered it for delivery and not for collection by mistake. The e-mail will tell you which store you ordered from and the contact number for that store. It will also show your order number. You must provide this when you call the store to discuss your order. Before you call, you should click on the tracking button in your e-mail. First check the delivery time too, in case of mistakes there. You may have ordered for a later time than you intended. If you selected ASAP, you should allow at least 30-45 minutes. Clicking on “Track Your Pizza” will take you to the robot tracker which will display your order status. It should also show an estimated delivery time if your order is at the “Out For Delivery” stage. Allow 10-15 minutes from this time in case of traffic. After this, you should call the store to find out when your order will arrive. If you can’t get through to the store, or they are unable to assist you for some reason, then call Domino’s customer services on 0844 248 2074. If the store is extremely busy, there might be communication delays. Domino’s can look into the problem for you and find out what is going on with your order. If you were paying in cash upon delivery, you could request to cancel the order at this point. If you already paid online and want to cancel it, insist upon getting a refund. Or if you still want your order, complain about the delay. If you do receive the order late but there is an issue with the food quality due to the delay, you can call to complain as well. You may be able to get a replacement order. When something goes wrong with your Domino’s order, such as late delivery, you should call 0844 248 2074 and make a complaint. Domino’s will try to placate the customer, but this depends on the situation. You will have agreed to an arrival time estimate when you placed the order. If it is more than 15-30 minutes later than this and the store did not contact you about running late, you can complain about this. 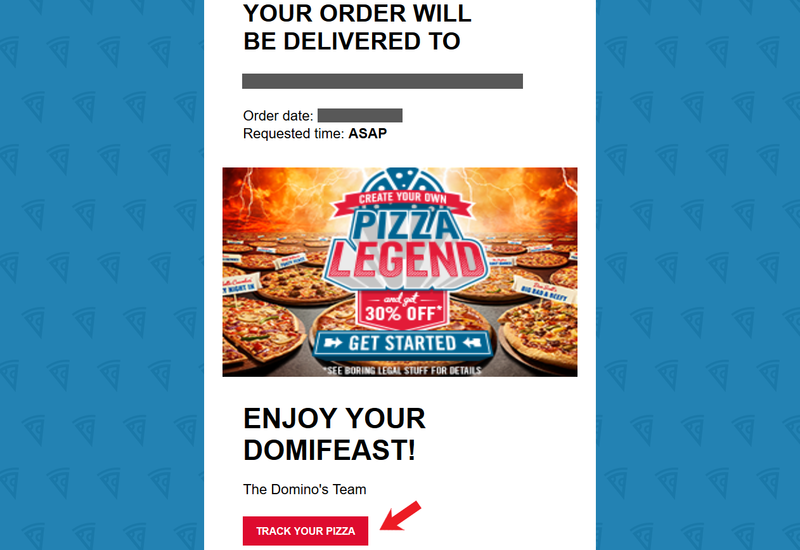 The Domino’s tracker is more of an estimate than actually tracking your pizza. However, if it says that your pizza was delivered but it was not, you will need to call. They may tell you that the order is out for delivery and to call back again if there are problems when it arrives. If you complain before receiving your pizza, Domino’s might throw in a free drink or side item. You can request this as compensation even if they don’t offer it, but it is up to the store whether they oblige or not. They can refund you if you choose to cancel your order before it goes out for delivery because it is too late now. Domino’s employees will be able to add notes to your individual account, which includes your order history. If you still want to order from them again, you could ask for a discount or free item for next time. 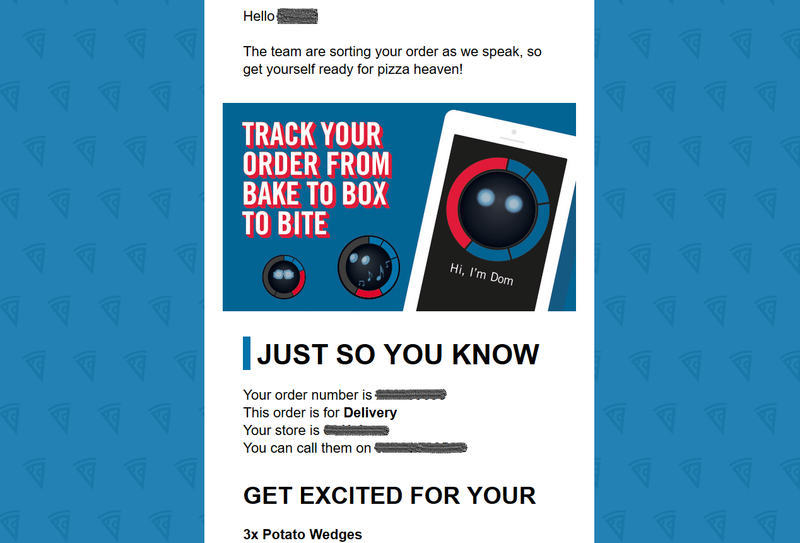 This is how it works if Domino’s get your order wrong or an item is missing. You call to notify them and they will add the notes to your account so that you will get the item for free with your next order. However, Domino’s won’t offer compensation if their lateness isn’t their fault.